The Mandarin Oriental Hotel Group, which has often been benchmarked by firms in other industries as remarkable in its attention to customer touchpoints, has identified 29 daily opportunities to surprise and delight customers, including how guests are greeted at reception to the types of pillows available. While many hotels offer shops where guests can purchase items they’ve forgotten, New York’s Standard Hotel had a Quicksilver vending machine that dispensed bathing suits, providing a convenience as well as a memorable novelty. These types of upgrades to daily experiences need not be limited to exotic or high-end hotels – the Hilton Garden Inn in Ithaca, New York, for instance, goes an extra step by folding hand towels in unexpected and decorative ways. Hotels are employing scents to create new customer touchpoints. Westin Hotels, for example, use a patented, proprietary “White Tea” scent to perfume their toiletries and lobby. Doubletree Hotels features the comforting scent of chocolate chip cookies, which are kept warm in an oven behind the reception desk and are offered to guests at check-in, while Four Points by Sheraton features an apple pie scent. In New Delhi, the Imperial Hotel smells like fragrant jasmine, with even the hotel’s van incorporating the memorable scent. While children’s camp programs and activity directors exist at many hotels and resorts, the 5-Star Badrutt’s Palace Hotel in St. Moritz, Switzerland, elevates the experience with a “kid’s concierge,” signaling to parents that the hotel is devoted to welcoming its young guests. For traveling “pet parents,” the Soho Grand Hotel in New York City’s Tribeca features a charming dog park on the property. At the Dream Downtown Hotel in New York City, circles are featured in all aspects of design, while at New York’s Ace Hotel, local artists, retailers and chefs are incorporated into hotel experiences, creating an authentic, locally-based opportunity for guests. Meanwhile, at the boutique Moschino Hotel in Milan, Italy, keys are a theme in décor across the property. Such touchpoints are not only memorable, but also sharable and “Instagrammable” as guests are inspired to post photos of the unique theme elements. Guests return to hotels for reasons that may not appear obvious. 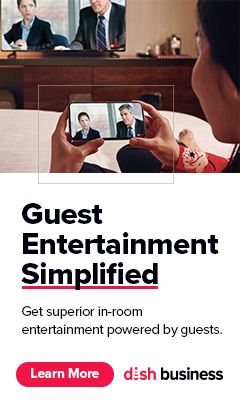 Hotels can utilize customer touchpoints to spark a curiosity and appreciation in customers that will come to mind the next time they need a place to stay. By finding innovative ways to surprise and delight their guests, hotels will reap dividends in guest loyalty and retention. Contributed by Michelle Greenwald, Inventours, New York, and the author of "Catalyzing Innovation"